NID 2019 Hall Ticket for DAT Mains (B.Des/GDPD) is releasing on 1st May 2019. 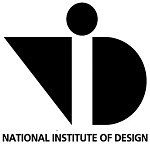 NID Entrance Test 2019 (National Institute of Design) is organized by the NID itself. It offers UG & PG design courses in the institution and its affiliated campuses. Design Aptitude Test (DAT) is the exam through which candidates can get admission in the four years of (B.Des) & (M.Des) programmes. The GDPD (Graduate Diploma Programme in Design) is also offered at NID Vijayawada and NID Kurukshetra. NID 2019 Result for DAT Prelims (B.Des/GDPD) has been released on 20th March 2019. In this article, we have mentioned the NID entrance exam 2019 complete details. NID 2019 Hall Ticket for DAT Mains (B.Des/GDPD) is releasing on 1st May 2019.Check here for hall ticket details. NID 2019 Result for DAT Prelims (B.Des/GDPD) has been released on 20th March 2019.Check here for result details. NID 2019 Result for DAT Main (M.Des) is releasing on 2nd May 2019. NID 2019 Answer Key for B.Des./GDPD DAT Prelims Exam has been released through login. Check here for answer key details. Here we have mentioned the exam dates for admission in NID 2019 for B.Des & M.Des courses. The candidates can get their admit card through the online mode only. It does not send to any candidate by post. The NID admit card 2019 for B.Des/GDPD & M.Des has been released on 17th December 2018 for DAT Prelims exam. Form M.Des (DAT Mains) exam, it has been released on 1st March 2019. The candidates can get the official answer key after the completion of the exam. NID Answer key 2019 has been released after the few days of the written exam. It has been published by the institution through online mode on 13th February 2019. NID result 2019 is declaring on different dates for B.Des/GDPD and M.Des programmes. Candidates can view their result and score through online mode. Score cards does not sent to any candidate by post. Result for DAT Prelims (M.Des) has been declared on 20th February 2019. Question: When the application form for NID entrance exam 2019 be available? Answer: The application form for NID 2019 has been started from 1st October 2018. Question: Is there any equivalent exam to NID entrance exam to get admission in NID? Answer: There is no equivalent exam to get admission in National Institute of Design. Question: How many times I can appear in NID entrance exam? Answer: One can appear in this exam for an unlimited number of attempts provided the eligibility criteria are fulfilled. Question: What are the documents which I have to upload along with the application form? Answer: Candidates those are claiming for the reservation, they have to upload the relevant certificate. Question: Can I apply for more than one discipline in M.Des. programme? Answer: Yes. you can apply for 2 disciplines for the admissions to M.Des. Answer: There is no provision of negative marking in the exam. Question: Appearing candidates are eligible to apply for NID 2019? Answer: Yes, appearing candidates are eligible to apply. The online NID application form 2019 is started from 1st October 2018. Candidates will be allowed to fill the application form till 30th November 2018 with late fee. The last date to submit the printed application form will be 30th November 2018. Correction facility has been started from 1st December 2018. Click here to view M.Des Eligibility Criteria. Click here to view B.Des/GDPD Eligibility Criteria. Duration: DAT prelims will be of about 3 hours for B.Des & 2 1/2 hours for M.Des. DAT Mains: The candidates those will qualify in DAT prelims will be shortlisted for DAT Mains exam. The DAT mains will consist of tests in multiple formats such in a studio set up. The tests will be conducted over two days. Click here to view B.Des Sample Paper. Test Center Lucknow is shown but the whole address of center isnt available. Am I eligible for nid 2019? Sir I apply this from but Don’t get any confirmation mail and message that’s why I am worry it is okay ? Yaa Not okay ?? Am i eligible for nid ? I have completed B.sc pcm in 2017 with 55 % marks. And i m 21 years old. Can i apply PG program in fashion design. I will 10+2 passed by the year 2019 . Am I eligible for examination NID ?? Hey . I am going through class 12 in medical so i wll be having my preboards in january .so how should i manage to give the entrance exam for NID ? i m persuing b.des.1st semester.. my age is 18 .. am i eligible for the NID entrance test? I’m graduated from sol du in ba programme. And right now persuing diploma in interior design which is completing my diploma in 2019. If I combine both ba programme degree nd diploma. Am I able to apply m.des 2019 ? What is the passing mark for the NID 2019 examination? I am appearing for class 12 the this year .can I submit nid form this year? My 10th class marksheet is submitted in the school. It is gone to the board for checking puspose.can i submit(upload) the verified copy of the marksheet.original marksheet will get available in october(3rd week). I am now in final year of diploma in handloom and textile technology can I appear for NID ? No, you will not be eligible if you will exceed the age criteria. My daughter did her primary education in India and secondary education in Muscat, Oman. Now she is in cbse 12th in Muscat. While filling the application form for Nid, does she has to pay as per the overseas category or general category? Also can you tell whether any online classes or books are available for entrance exam? Iam studying in plus 2 this year.My age is 17.Am I eligible to fill the application form for NID 2019 exam? I am studying in plus two this year.My age is 17.Am I eligible to apply for NID 2019 exam? We belong to the Minority group sikhs. Is there any reservations?? DAT Prelims DAT mains application has to be filled in by the candidate together. No, it will be filled separately. Is it required to take science group in 12th for Mdes in nid? What is the eligibility? how will i know if im selected for prelims? how will i know that where my exam center is? You will be notified by the official authority. I have completed my graduation in b.com.Am i eligible for the pg course?? Is there is any other course than BDes to go for Graphic Designing ? Because all courses have less number of seats and tough entrance exam. My son is studying 12th Standard, Wants to know whether he is eligible to write B.Des entrance exam of Jan’2019. What is the full syllabus for NID pg entrance and how can i prspare for it? I m pursuing bsc.degree in chemistry ..n my last year completes in 2019 ..m I eligible.. I am not having mathematics.Can I apply? I need detailed syllabus of nid for pg program. My daughter wants to appear for Nid exams this year. So wanted to know what is this Pwd certificate to attached on website? For how many years its valid to get admission after I qualify? What stream or subjects are required in 12th to be eligible to appear B.Des? I have taken Commerce without mathematics, am I eligible? I’ve got a qualification of 10th from Nepal. So, can i apply for the Graduate Diploma Program in Graphic Design or Bachelors of Graphic Design? Those who are going to appear 12th std exam in 2019….they can appear NID exam for 2018-19? While going through the net to know about the admission process in NID, I came across with the term “DAT Mains”. I have done btech in computer science department,can I apply for pg courses at nid? I have completed my bachelor’s degree in electrical engineering.Am i eligible to apply NID 2019 for master’s in furniture and interior design? I am with science stream. So other than maths . Physics isn’t in this exam. ? Now iam pursuing BBA,my last year is 2019.am i able to give NID entrance exam 2019? First you have to apply for prelim exam than mains. One who is BSc degree qualified with any percentage can apply? Can you please share the TEST CENTRES for the Nid entrance exam.. I completed my diploma in Architecture can i apply for NID Entrance Exam.And what is the difference between NID(prelims) and NID(Mains)?Please sir help me. 1. is mathematics required for b.des? 2. What is the cut off percentage for applying B.Des ? 3. still not appeared in class 12th exam as it is in march and nid is conducting exams on 1st week of January 2019 and 2nd week of March 2019, so am i eligible? I carefully go through about the syllabus of NID entrance exam. How does a new comer will give answer ? I have passed class 12th in the academic year 2017-2018. Am I eligible to apply for NID in 2019? On qualifying in the written test,when the studio test will happen in 2019. As I am going to write my 12th papers in the March 19 then how will be able to appear the studio test if conducted during that time. The all information will be update din our article time to time. The person who is 10+2 qualified wid any percentage can apply? What is the cut off for applying B.Des ? Is there any defence quota seats?